In a perfect world where everyone has crazy self-confidence, the answer to this question isn’t Snow White, rather it’d be the person looking at their reflection in the mirror. 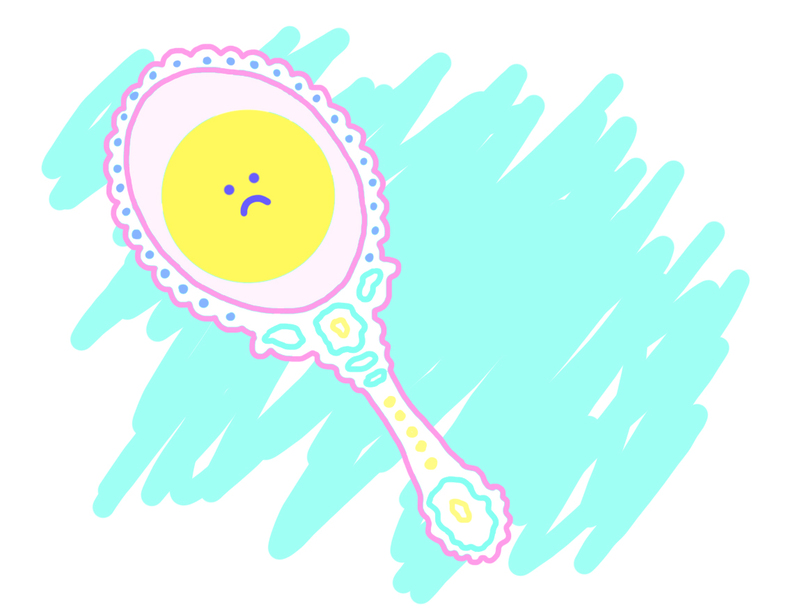 But for many dermatillomania sufferers, instead of eliciting self-confidence the act of looking into the mirror brings shame, self-doubt, and skin-picking episodes. Looking into a mirror may provoke scanning and as sufferers begin to notice real or perceived imperfections this can lead to picking. Like a shiny, glass microscope, mirrors provide a close-up picture of the skin and gives sufferers time to pick it apart both in the literal sense and the metaphorical one as they obsessively judge whether their skin conforms to their standard of beauty. But sufferers’ daily battles with the mirror aren’t hopeless ones. Here are some tips sufferers can utilize to avoid or lessen the triggering effects of the mirror. Cover your mirror with a scarf, sheet, or other object so you need to consciously move the item away from the mirror in order to use it. This extra step can remind you of your goals and can prevent a picking episode from occurring or serve as a barrier to prevent you from looking into the mirror altogether. The closer you get to the mirror, the more detail you can see on your skin, and the more likely you are to locate a real or perceived imperfection that can induce a picking episode. Prevent this from happening by remaining an arm’s length or further away from the mirror or using furniture to block your path to the mirror. After showering, try to get done what you need to get done in front of a mirror before the fog on the glass of the mirror dissipates and you can see your reflection again. 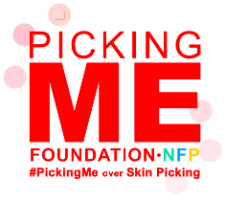 Self-awareness of how often you fall into a picking episode and the factors that cause it are important. Hang your mirror two inches higher than normal and notice how often you raise to your tippy toes to get a better look at your skin in the mirror. Take note of how often this occurs and make it a goal to lower that number. The mirror can’t trigger you if you aren’t using it. Find other places around the house to do the activities you’d normally do in front of a mirror. Wash your face, floss, use mouthwash, and brush your teeth in front of the kitchen sink or somewhere else that has a faucet but no mirror. If you must use a mirror, limit your time in front of it. Ask a loved one to knock on the door of the bathroom after a certain amount of time or set an alarm for how long you want to spend in front of a mirror. Scram after the alarm has gone off. Dim the lights in the bathroom. It’ll make it harder to see detail on your skin when you look in a mirror, meaning less chance of noticing a real or perceived imperfection and falling into a picking episode.